Learn how to find the right cloud services provider for you with our free resource. Find the right Cloud services provider. 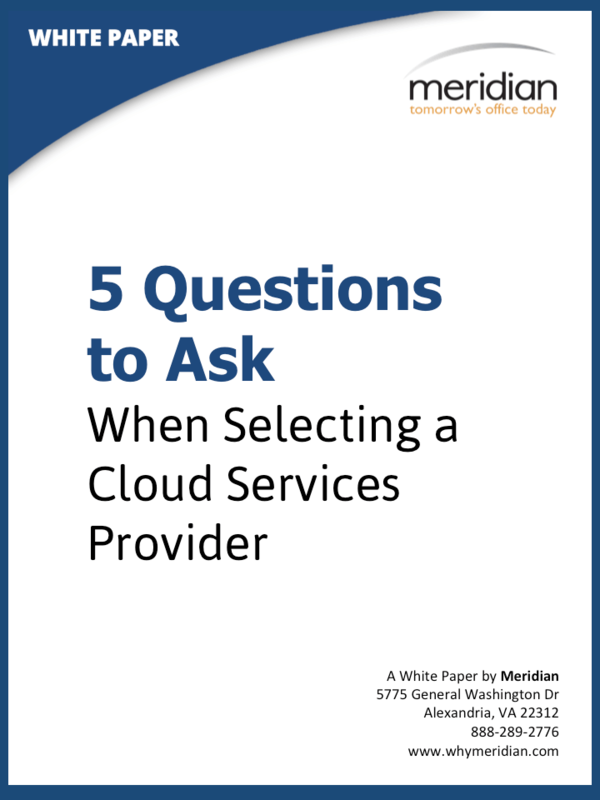 This whitepaper contains detailed explanations of five essential questions you should ask when selecting a Cloud Services provider—because your sensitive data is too valuable to risk. Is my data really private and secure in the cloud? What do the “Terms of Service” really mean? How can I use cloud solutions? What can I expect in regards to long-term availability and reliability? What disaster recovery services are included? To learn more about Meridian's Managed Services and Secure Private Cloud Services, contact us today!